Wolfsburg pulled away from the Bundesliga relegation zone with a thumping 5-2 away win at Freiburg. Wolfsburg pulled away from the Bundesliga relegation zone with their biggest away win of the season as they made Freiburg suffer. Max Kruse put Freiburg ahead in the second minute, but an own goal from Cedric Makiadi and fine strikes from Vieirinha and Ivica Olic turned the game on its head within 20 minutes. Olic's second gave Dieter Hecking's side an even more comfortable lead after the break before Johannes Flum scored a second for the home team, who dropped out of the top six as a result of their loss. Diego added a fifth Wolfsburg goal with the last kick of the game as they opened a nine-point cushion over the relegation zone. Kruse gave Freiburg a flying start with a spectacular strike from an angle in the second minute, but it sparked the Wolves into action. Five minutes later, Ricardo Rodriguez's free-kick was met by the head of Makiadi, who in trying to beat Simon Kjaer to the ball only managed to direct it into his own goal. Wolfsburg were in the ascendancy and Vieirinha gave them the lead with a stunning volley from long distance into the top right corner. Olic topped that with an acrobatic overhead kick to give the visitors a two-goal advantage, and score the fourth goal of the game after just 22 minutes of play. The Croatian striker could have made it 4-1 but was denied by Oliver Baumann in a one-on-one situation as the attacks kept flowing from one end to another. Unsurprisingly, a fifth goal arrived four minutes into the second half with Olic reeling away in celebration once again after heading in Wolfsburg's fourth from Fagner's cross. 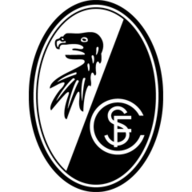 Freiburg refused to throw in the towel, however, and Flum reduced the arrears again in the 65th minute, tapping the ball in from Makiadi's excellent assist. The home team tried to find another reply but Diego finished them off in the last minute with Wolfsburg's fifth, coolly beating Baumann.